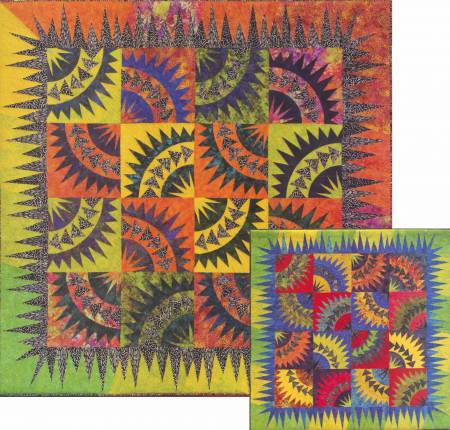 66in x 66in Includes Foundation Paper Bradley and Judy Niemeyer designed the layout and foundation pieces for Dancing Batiks. A collection of fabrics designed by Island Batik were used to make both samples shown on the cover page. A sewing technique called foundation paper piecing is used when sewing the pieces onto the foundation units. Curved piecing and traditional piecing skills are required to join each unit after the foundation piecing is completed.